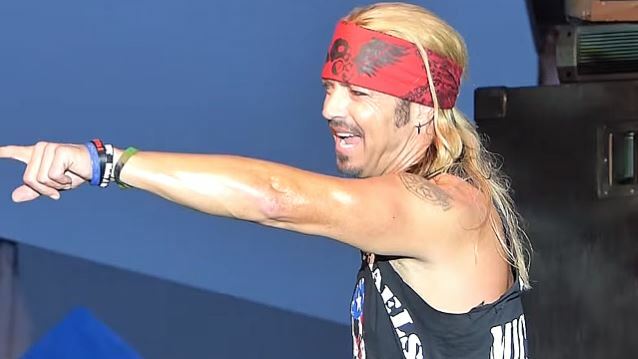 Bret Michaels (POISON) will headline the very first LaconiaFest — the East Coast's only motorcycle music festival — set to take place June 11-19 in conjunction with the 93rd annual Laconia Motorcycle Week in Laconia, New Hampshire. The festival will include all-day food and drink, motocross stunt shows, motorcycle model/product stagings and more. This high-octane, nine-day festival will take place in the heart of Downtown Weirs Beach at the Weirs Beach Drive-In Theatre. 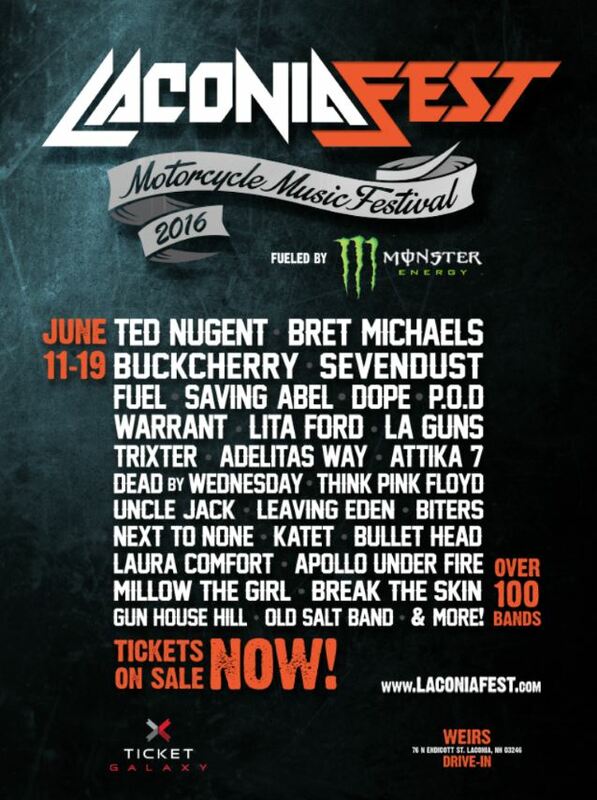 LaconiaFest is sponsored by Ticket Galaxy and Monster Energy. Michaels will perform on Thursday, June 16 as part of his "The Party Starts Now" 2016 tour. Michaels exudes an energy and passion that connects with audiences of all ages — seamlessly blending rock, country, Americana, pop and bluesy southern rock for a concert experience to be enjoyed by everyone. Michaels has turned his passion for music into a multi-faceted brand encompassing record breaking touring sales, reality TV stardom, legendary songs selling over 32 million records, product endorsements as well as being a devoted philanthropist, all supported and followed by three generations of loyal fans. Michaels will be joined by fellow world-renowned musicians and headliners Ted Nugent, BUCKCHERRY, SEVENDUST and FUEL, with additional performances from the rock music's top talent of today and yesterday, including WARRANT, Lita Ford, TRIXTER, L.A. GUNS, P.O.D., ATTIKA7, DOPE, SAVING ABEL, BITERS, ADELITAS WAY, BULLETHEAD and MILOW THE GIRL. In total, the festival will feature over 100 internationally and regionally recognized artists. LaconiaFest will feature two stages and festival attendees will rock out to live music for 12 hours a day — noon to midnight. For more information, visit www.LaconiaFest.com.